OTTAWA – Canada is set to take in a number of African migrants from Israel, according to the UN refugee agency, but a late-in-the-day declaration from Israel’s prime minister has put the fate of the deal in question. 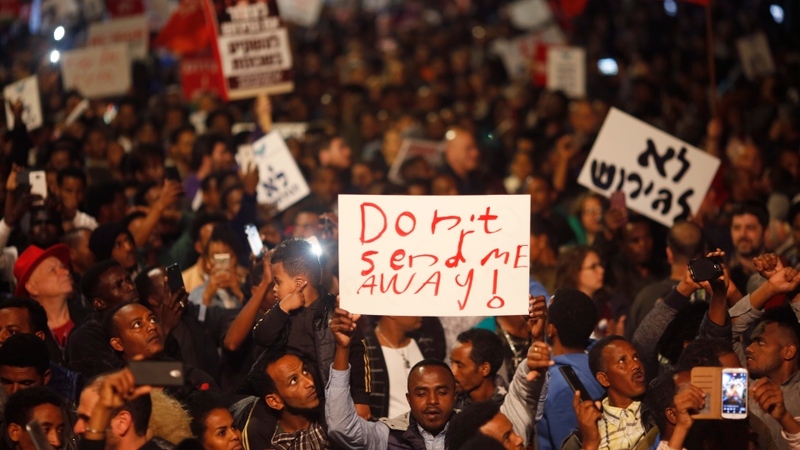 The agreement between the United Nations High Commissioner for Refugees (UNHCR) and Israel, was to have around 16,000 Sudanese and Eritrean migrants relocated to "receiving countries" using resettlement, private sponsorships, and scholarships. In addition to the resettlement, other African migrants in the southern part of Tel-Aviv were to be relocated to other parts of Israel, given legal status and offered job training. However, Israel’s President Benjamin Netanyahu took to Facebook hours later to say that he is suspending the agreement pending further consideration. UNHCR Representative in Canada, Jean-Nicolas Beuze, told CTV News that western countries "like Canada," would be among those bringing in these asylum-seekers. "There is a long tradition here in Canada, to have private sponsors helping refugees to come to Canada and settle there. So we hope that this will continue and that the number may eventually increase in the short-term," Beuze said on CTV Power Play. Beuze said the number of these migrants potentially coming to Canada on top of what the government has previously committed, has yet to be determined. The UNHCR is working with Immigration, Refugees and Citizenship Minister Ahmed Hussen’s department on this. In a statement, a spokesperson for the minister, Hursh Jaswal, did not comment on the specific agreement, instead saying that the government remains in contact with the UNHCR and cited prior commitments to finalize the current 1,845 private sponsorship applications and to resettle 4,000 Eritrean refugees from various parts of the world by the end of 2018. "We have been monitoring this situation closely and as was reported last month we have been in direct contact with the Government of Israel and we reached an arrangement with Israeli authorities to suspend the deportation and detention of individuals who have private sponsorship (PSR) applications for Canada until the processing of their case has been completed," Jaswal said in the emailed statement. UNHCR projected the agreement would be implemented over five years. "It's a good agreement, very glad that we achieved it," Netanyahu said during a televised press conference earlier Monday.